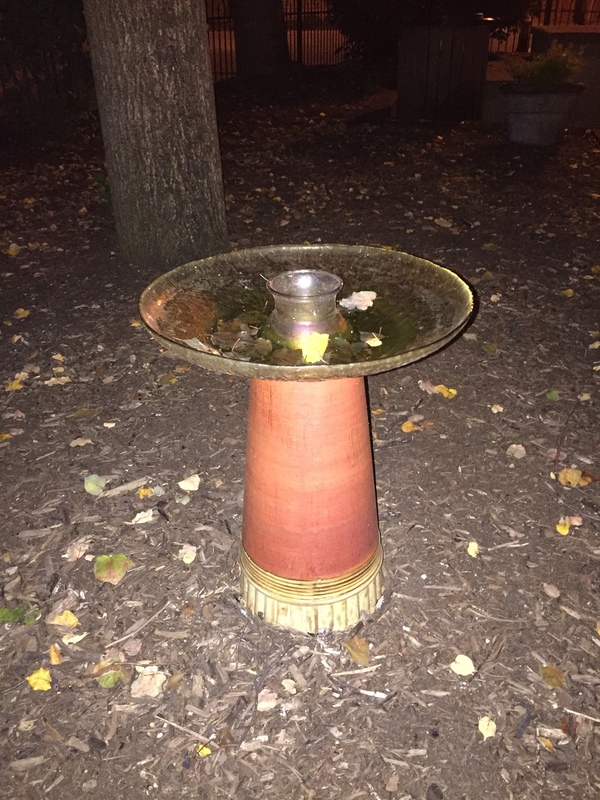 The other day I was out for a walk and saw a birdbath. As I walked by, I thought: boy, you don’t many birdbaths these days — even though they were a common feature that you saw in people’s yards when I was growing up. It made me think about other once-common things that have pretty much vanished from the everyday scene. Like breadboxes, for example. When I was a kid, we had a wooden breadbox in our kitchen. Every house seemed to have one. In our case, it was part of a decorated matched set with the flour and sugar and coffee containers, and when you wanted to get the Wonder Bread to make your peanut butter-and-jelly sandwich you went to the breadbox, flipped down the front lid, took out the bread in its plastic wrapping with the red, yellow and blue balloons, and made the sandwich on the back part of the flipped-down lid. I’m not sure whether breadboxes were supposed to really serve any meaningful function in terms of keeping bread from going stale, or whether people just wanted to have a central place to store their bread. In any case, nobody puts a breadbox on their kitchen counter anymore, I doubt if anyone sells breadboxes anymore, and I imagine if you gave a breadbox to somebody under 35 they would have no idea what it was. At some point, Americans collectively made the decision that it was better to put bread in the refrigerator, and breadboxes went into the dustbin of history. Breadboxes. Rotary telephones. Rabbit ear interior TV antennas and elaborate TV antennae on rooftops. Fancy silver tea sets, always slightly tarnished, on dining room tables. Elaborate ashtrays on coffee tables and end tables and standing cigarette lighters. They’ve all been left behind as America has moved on and tastes have changed. And birdbaths have been left behind, too. Which makes me wonder: where do birds go to freshen up these days?